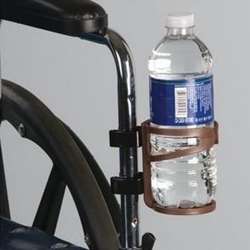 This brown standard arm wheelchair beverage holder fits beverage containers 2 1/2 to 3 inches in diameter. Snaps into place. 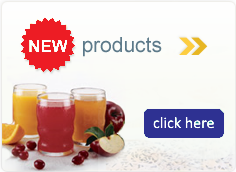 Top ring on holder can be manipulated to increase or decrease opening size. Press the two spring clip of the beverage holder against the vertical (upright) tube until they snap into place. The beverage holder is now ready to use.